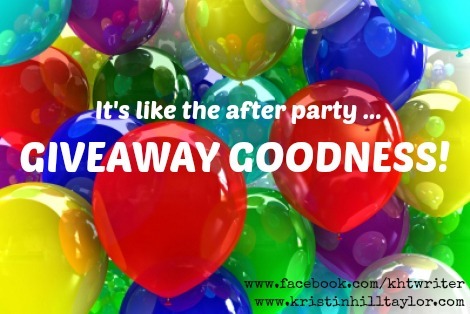 Thanks to all of you who joined me for my inaugural Facebook party! Even if you weren't able to make it, the giveaways will stay open throughout Tuesday and then I'll randomly select winners Wednesday morning. "Peace in the Process" & Cinnamon Rolls :: I've shared excerpts from my ebook all over the internet this month. And it's on sale for just $2.99 the rest of this month. BUT someone is going to win a copy of it. AND some homemade cinnamon rolls from my friend Barb. Y'all. Cinnamon rolls are my favorite dessert and Barb's are the best of the best. "Love Idol" by Jennifer Dukes Lee & DaySpring Magnets :: Letting go of perfection has been one of my journeys. One of the greatest resources in doing this has been Jennifer Dukes Lee's "Love Idol" book. I spent time earlier this year blogging about this book and its message for my soul. It's become a foundation in so many other messages and lessons from God in my every day life as a wife, mom, believer, writer, and friend. Ebooks by Britta LaFont, Kayse Pratt & Victoria Osborn :: My writing friends have been such an encouragement to me this year, when I've poured much energy into my blog and self-publishing my ebook. I'm excited to share these three ebooks with you. Slugs & Bugs' "Under Where?" CDs :: Randall Goodgame and I became friends when I organized some Slugs & Bugs concerts here throughout the past several years. He graciously endorsed my book. Plus he sings a fun song that celebrates adoption. The Copper Anchor 8x10 Print & Magnetic 4x6 Picture Frame and Memo Board :: The lovely Lisa Larson from The Copper Anchor redesigned my blog earlier this month and now she's letting someone choose a print from her shop, which is raising money for her family's adoption. Plus I'm throwing in a magnet picture frame and memo board because I like those kind of things and figured you would too! Trades of Hope Bracelet :: My friend Becky sells Trades of Hope items that educate and empower women all over the world. I liked Becky's description of this specific bracelet; "The Uganda wrap bracelet is made of paper beads. It's a bouncy wrap that's fun to wear and fun to play with, as my boys have proven. ".